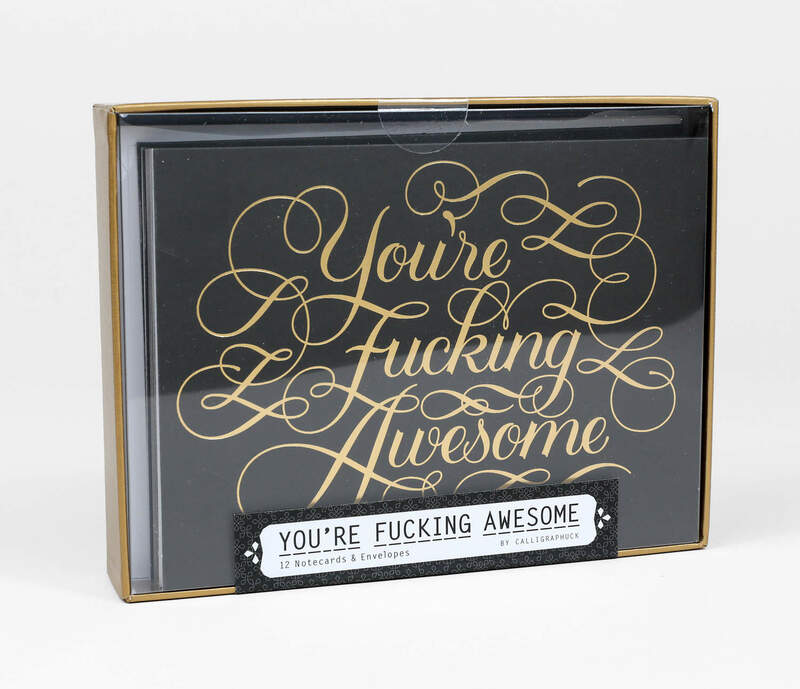 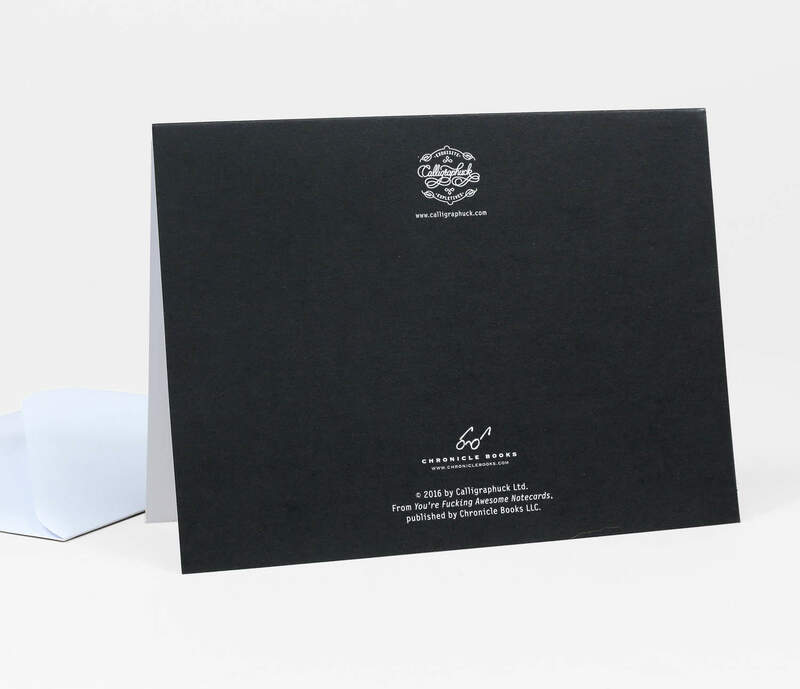 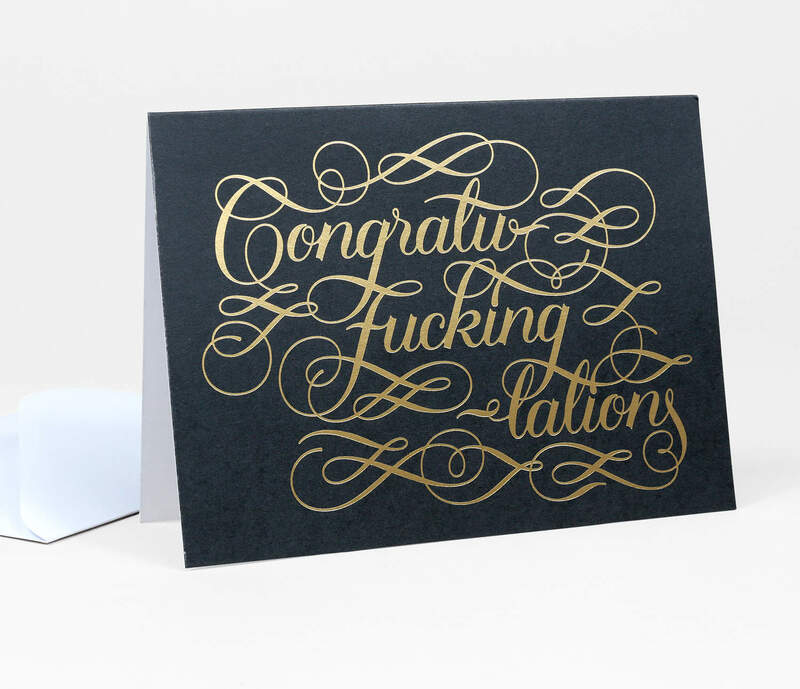 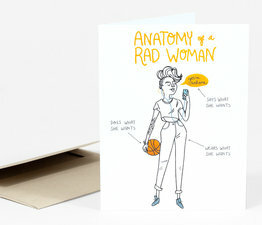 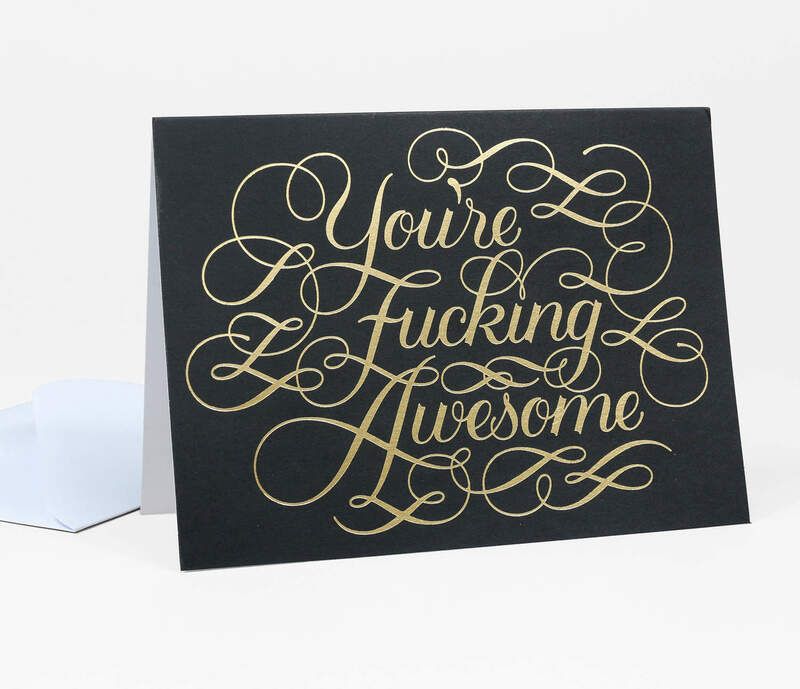 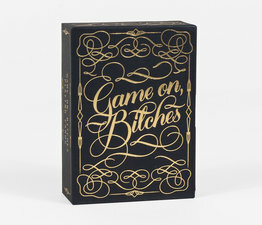 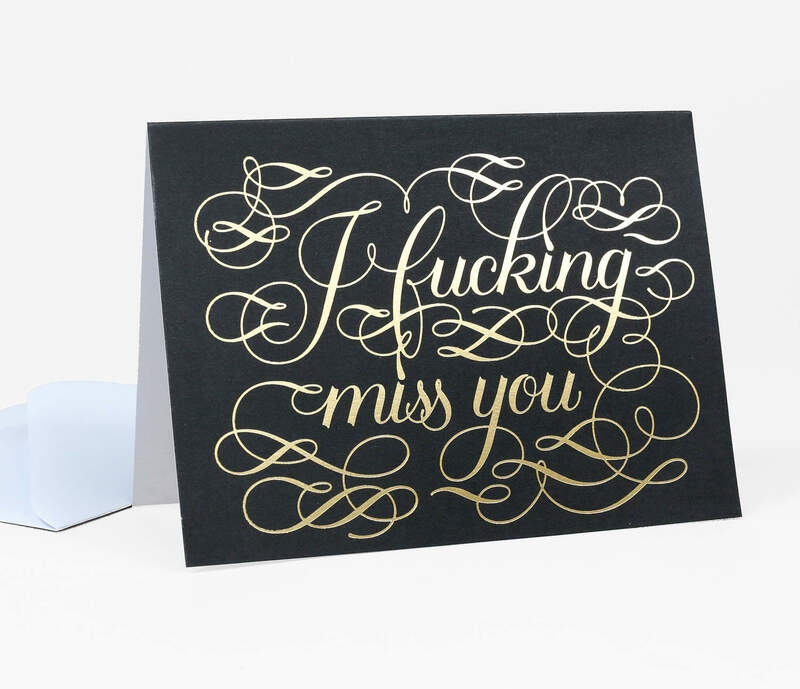 Delightfully irreverent and classy, this notecard set offers 4 different greetings—all rendered in beautiful hand-drawn calligraphy and gold foil-stamped on uncoated black card stock. 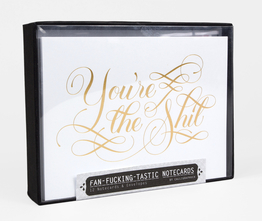 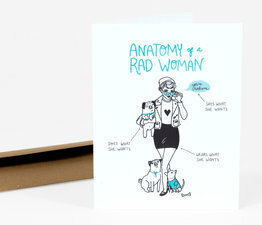 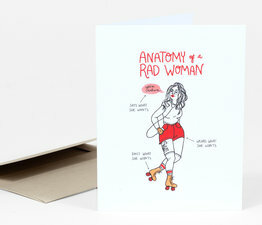 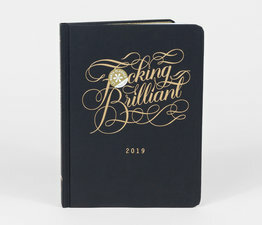 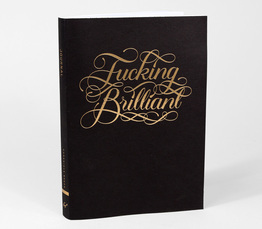 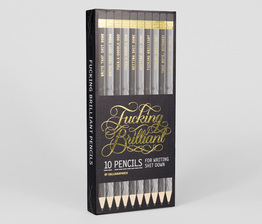 Perfect for expressing sentiments with humor, style and a touch of vulgarity. 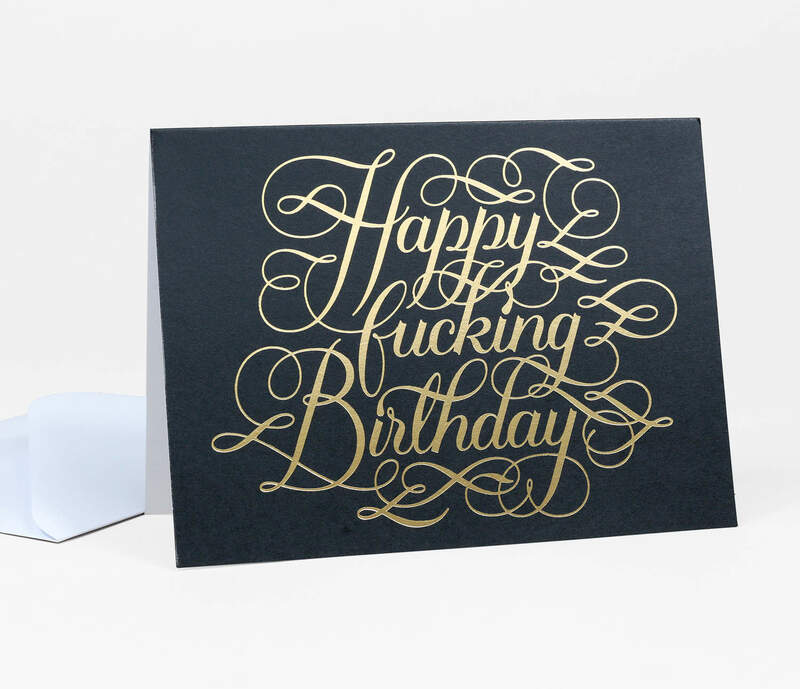 Four different designs, three of each card.